This time of year, a trip to Baltimore’s Sunday Farmer’s Market under the Jones Fall Expressway is a treat for the eyes and nose. The variety of produce is overwhelming, and the smell of ripe peaches is intoxicating. And now beautiful apples are beginning to make their appearance. Over the years, several of the orchardists at the market have introduced shoppers to varieties of fruit that are not found in grocery stores. Where did these varieties come from? What varieties of fruit were grown in our country’s early history? Instead of searching Wikipedia for a history of orchards in the United States, read a government publication. Yes, you read me correctly. The National Park Service has produced a very nice book, Fruitful Legacy: A historic Context of Orchards in the United States with Technical Information for Registering Orchards in the National Register of Historic Places. Don’t be intimidated by the long title. This history of fruit trees, orchards, and orchardists from 1600 to the present is full of illustrations, maps, and photographs and is fun to read. An added bonus is the book’s list of National Parks that have fruit trees that are more than fifty years old. 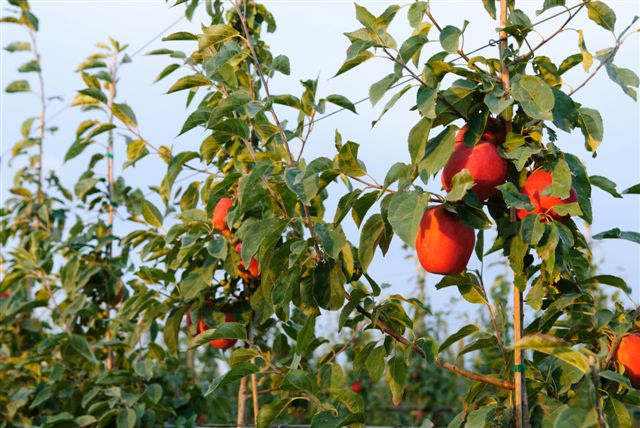 So if you are traveling to a National Park in the spring, summer, or fall you can add historic orchards to your list of things to see. What a beautiful book! I was able to see a digital copy through our HathiTrust access.